Perhaps not many people know but I am a contributing editor for Smashing Magazine for many years now. It all started a little less than 8 years ago (the summer of 2010, to be precise), when I was approached by Vitaly (the editor-in-chief of Smashing Magazine) who asked me if I’d like to help him create and manage the shiny new Adobe Fireworks section. Fast-forward to today and what can I say? Adobe Fireworks is no more (although it will always have a place in my heart! and will probably have its icon pinned on my Windows taskbar as long as Windows keeps support for 32bit applications) but I have learned a lot during these years. I helped prepare and publish more than 40 (maybe more than 50 even… I lost count!) articles about Fireworks, about design, prototyping, and more; I worked with great people on my team; I collaborated online (and sometimes met in person) with many fantastic authors; and I learned a lot. My work for Smashing Magazine started pretty casually as a side job eight years ago, while I was still deeply involved with web design projects and HTML/CSS. Vitaly invited me to become editor of the newly created Adobe Fireworks section in the magazine and since Fireworks was my primary UI design tool, things went really smoothly. Then, over the years, the magazine and the authors I was working with became more and more important to me. Adobe dropped Fireworks development a few years ago, but there were so many other exciting design topics to write about! Working together with authors, editors, and experts, I learned how to be a better editor, and also a better author. The life change was subtle at the beginning, but by gaining more and more experience, at some point I quietly left the world of HTML/CSS coding. Nowadays, I am a fulltime technical editor in a Danish software company and during the nights I am still working on articles for Smashing Magazine. Working with words helped me to unlock the creative side in me, and maybe this is one of the reasons why I started to work on a personal project of mine, the Monsters & Carrots series of drawings. My next big challenge will be to create and publish a book (or maybe several books!) full with illustrations from a crazy fantasy world. This is the biggest challenge at the moment — to “steal” some free time and find more life and work balance. 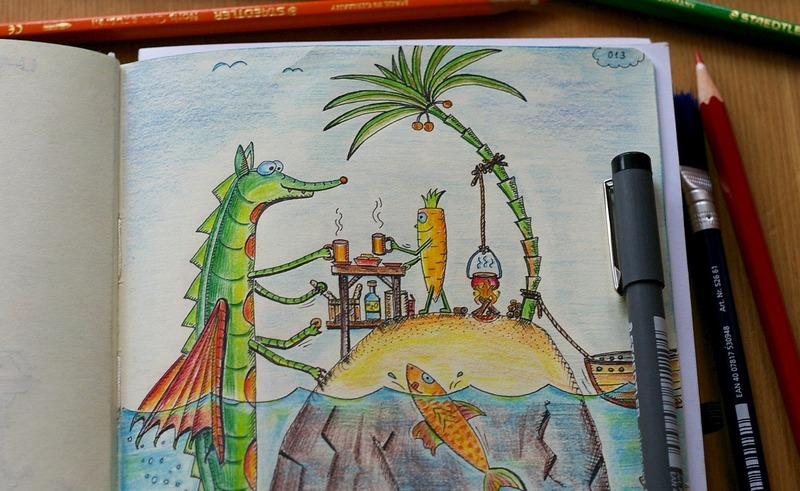 And yes, I want to make a book (more than one, actually) full with my crazy monsters… and carrots. This will need time and effort but I will happily spend both of these for my little side project. Because I want to try and see what will happen. Life is short. And when you feel you should try to do something, better try. Or just do, try not (to misquote Yoda a bit here). Previous Article Where is my status bar in Firefox Quantum? Here’s a way to restore it!